With some cash to get working in my DIY Income Investor portfolio, I have opted for another fixed-income investment - maintaining the broad 50%/50% allocation between these and high-yield dividend shares. 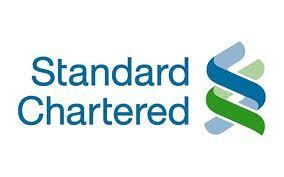 The compromise was to top-up my holding in the Standard Chartered Perpetual Corporate Bond 8.103%. Despite the bad newsflow currently about Standard Chartered in the US, there does not seem to be any reason to doubt its future progress - particularly in Asian markets. The income yield is 7.7%, which is greater than the portfolio average (currently around 6%) so this purchase boosts the overall income return. This is a perpetual bond (although a rate change is possible in 2016), so it can form part of the 'anchor' income produced by the portfolio: however, the real capital value will fall with inflation as I have purchased this at a premium to the cover price (and therefore there would be no 'profit' with any eventual 'call' and return of the 'par' value).